You can enjoy this easy dinner idea in less than 30 minutes and only 6 ingredients! These Baked Korean BBQ Meatball Skewers can be cooked in the oven or you can make them grilled kabobs! You are Only 6 Ingredient and 30 Minutes Away from Tasty Korean BBQ Meatball Skewers! A couple weeks ago I shared with you all my Sundried Tomato Chicken Meatballs with Mushroom Linguini Alfredo recipe. It was a short dinner prep (under 20 minutes) with a LOT of flavor. Mostly thanks to Cooked Perfect® Fresh Meatballs that I am not a little obsessed with. 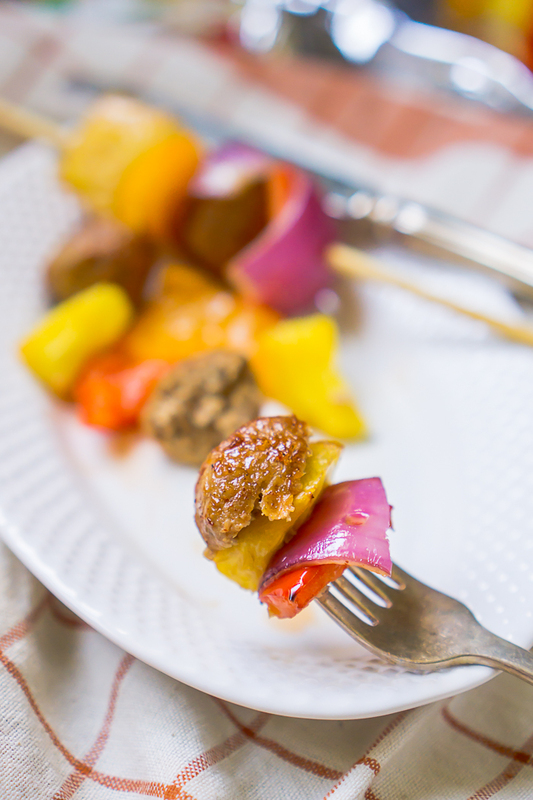 We just had fast meatball subs for dinner this week thanks to the Italian Style Beef & Pork Fresh Meatballs and today I am bringing you Korean BBQ Meatball Skewers which were SO good! 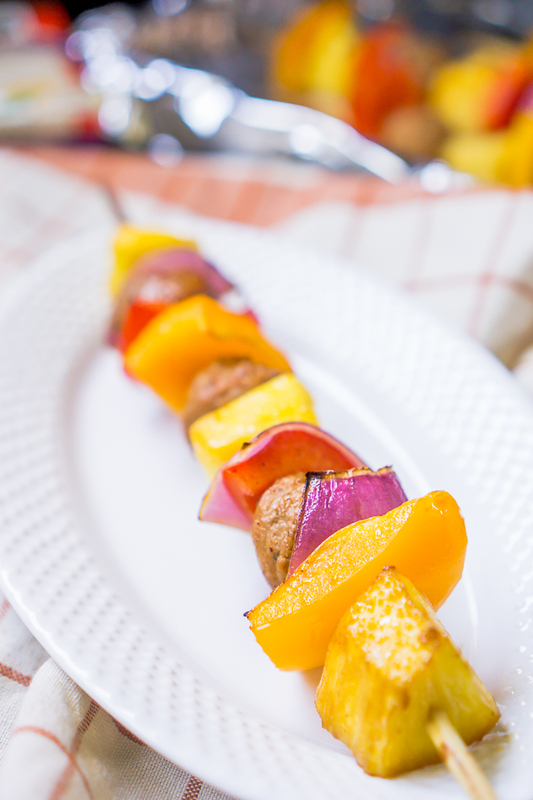 This skewer recipe is definitely my favorite of these three meatball recipes so far! The Korean BBQ Beef and Pork Fresh Meatballs have an incredible flavor. 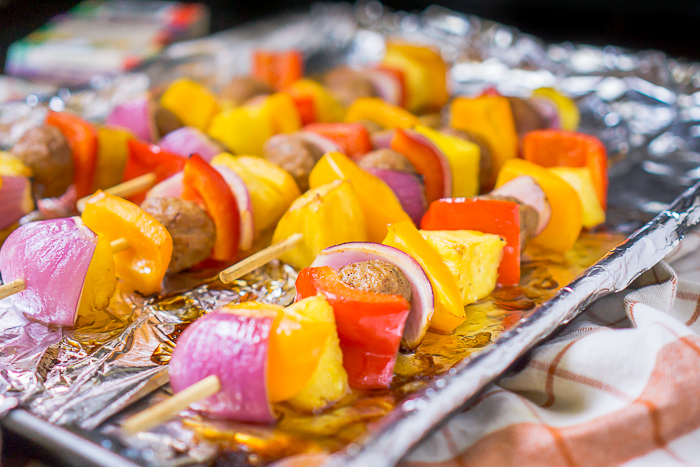 Coated in a spicy sweet glaze with notes of gochujang, ginger, soy sauce and chives, they pair really well with pineapple, bell peppers, and red onions which is why skewers were the obvious dinner choice in my mind. I’ve always used Cooked Perfect Frozen Meatballs, but Cooked Perfect Fresh Meatballs have instantly become a must have item for easy dinners. All the flavors are amazing – Italian Style Beef & Pork, Korean BBQ Beef & Pork, Sundried Tomato & Roasted Garlic Chicken, and Italian Style with Parmesan & Mozzarella Chicken – and they are cooked with no artificial flavors, colors, or preservatives and flame broiled to lock in the flavors. Are You Ready to Enjoy these Korean BBQ Meatball Skewers?! Toss pineapple, onions, and bell peppers in oil/soy sauce mixture. 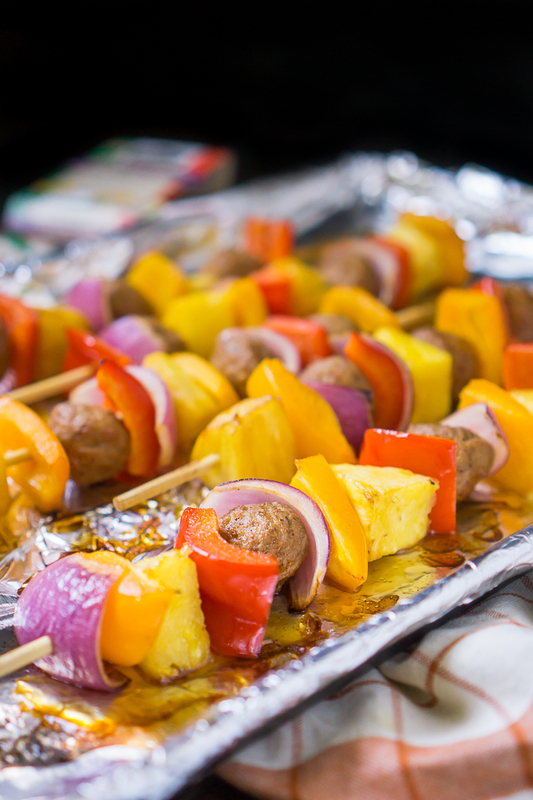 Skewer the meatballs, bell peppers, onions, and pineapple onto the prepared skewers in whichever order you prefer. I made 6 skewers with 2-3 meatballs on each skewer. 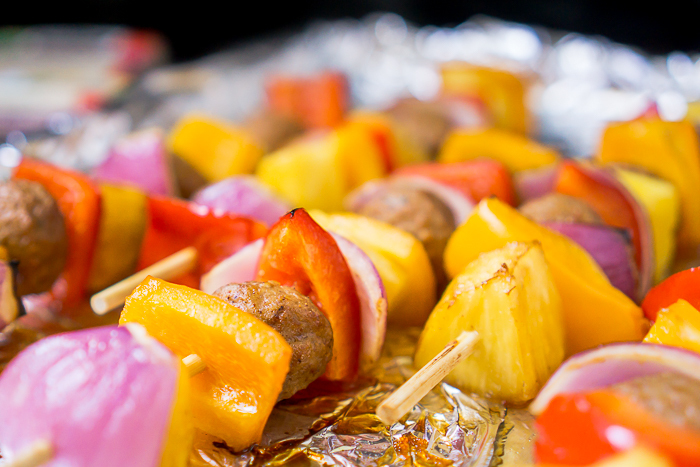 Line baking sheet with foil and place skewers on sheet. Bake at 425 degrees for 15 minutes, turning skewers halfway through cooking process. Or grill until slightly charred on all sides and heated through.